I suggest you laminate and attach velcro to the Color Worksheets. Then they can be made into an Interactive Workbook or used Individually. The bottom portion of these worksheets has a storage area. The picture cards are on a separate sheet for you to cut apart. I have also included two workbook covers if you decide to make interactive workbooks. 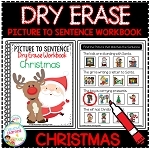 You can make 2 Interactive Workbooks each with 6 pages or 1 big book. These are perfect for a Cut and Paste activity.